Floral Forever | For the Joy of Life. Every day here in Utah has been different weather wise, but I can definitely feel that spring is in the air! When I think of spring I obviously think of Easter, but I also think of bright colors, dresses, and of course... flowers. I've always dressed on the girlish side and appreciated a pretty dress, but I mean, what girl doesn't love flowers?? Receiving them, planting them, painting them, wearing them, or even just looking at them... I feel like every girl just has to love them! I for one, think that they totally brighten my mood! Floral prints have always been among my favorites. They just always draw my eye. I also love the convenience of a maxi dress, so when I saw this one from Lindsay's Secret Closet, I couldn't resist! Floral prints are so classic, I really don't think they will ever go out of style. That being said... 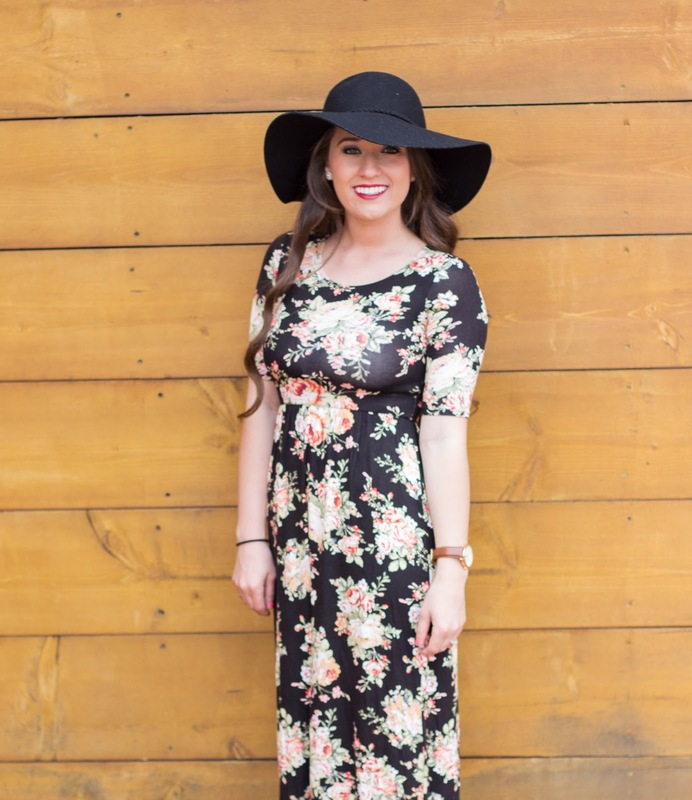 I'm so excited to introduce this dress as the next dress in the series #mymammastyle! 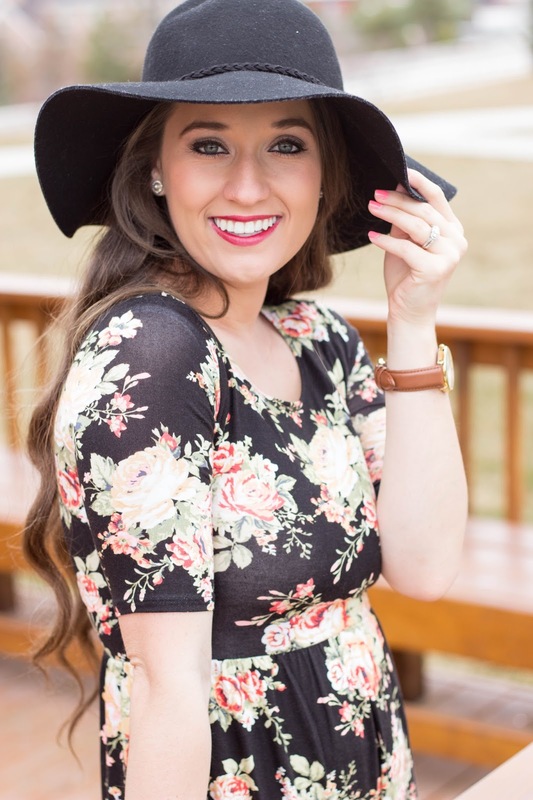 It can be so much easier than you think to look cute as a mother of little ones so start with something cute like this dress! I love that this dress can transition perfectly with each season. The timeless floral print is perfect for both spring and summer, but the darker colors in the dress are also perfect for fall and winter! I think it would look adorable with a jean jacket in the fall or a longer coat in the winter! 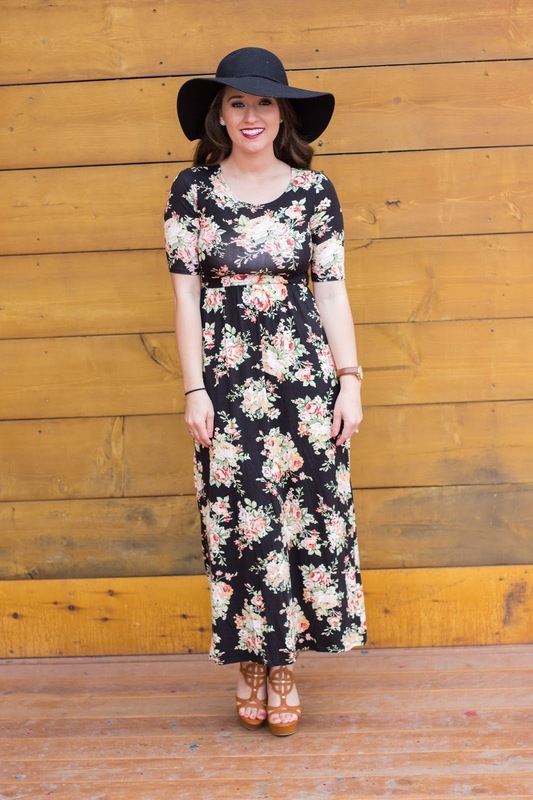 I also love that it is a maxi dress! Maxi dresses look good on just about every frame. They aren't form fitted so they just hang on your frame creating a slim look. 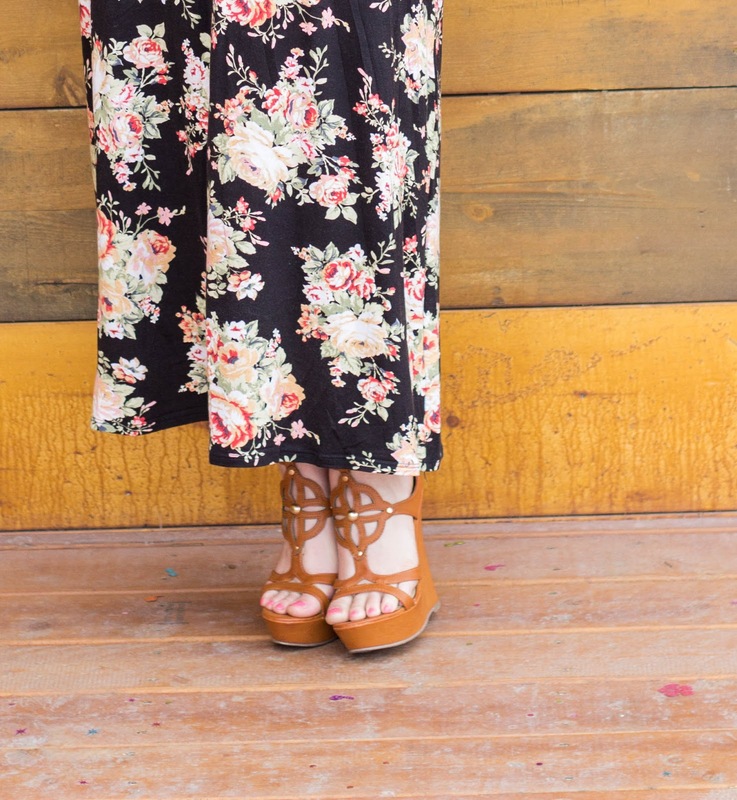 Something I also love about maxi dresses is that they work perfect with heels or flats, so you can decide to either dress it up or dress it down. This particular dress is made a little shorter, but I personally love that you can see all of my wedges! In fact, Hunter asked me if they were new when he saw them, haha! 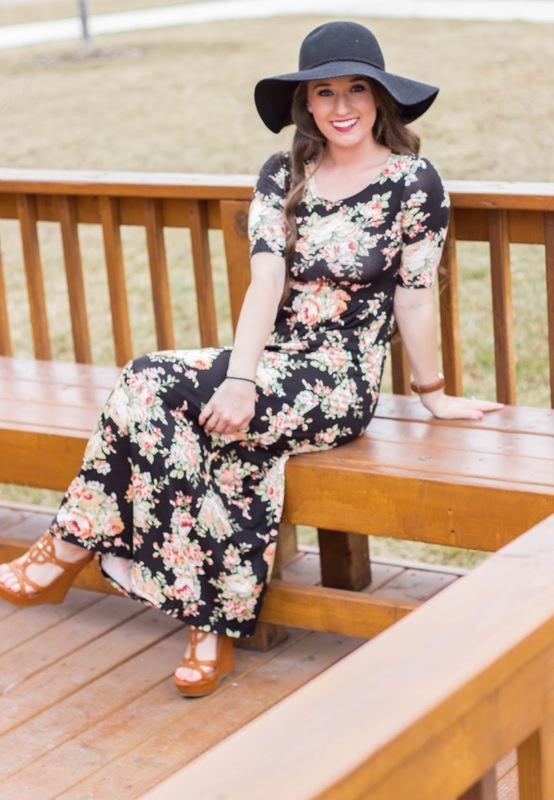 This dress is from Lindsay's Secret Closet and I am totally loving this online store! 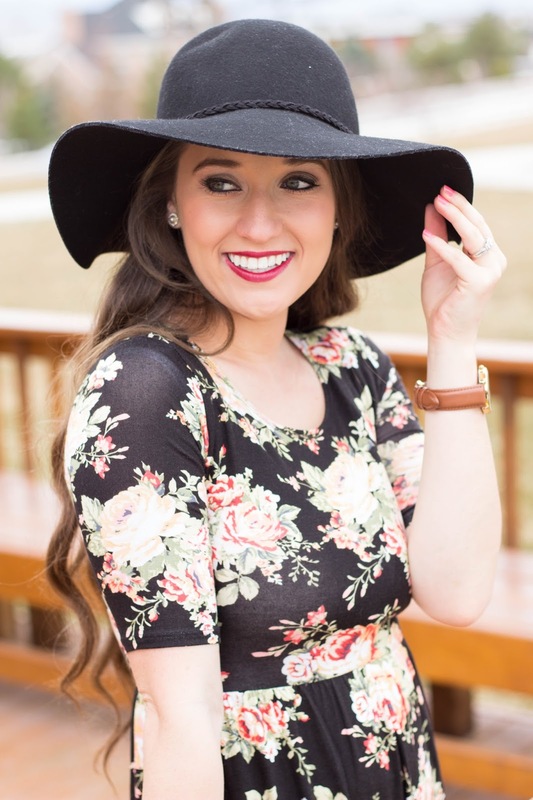 Every single thing in the shop is super affordable and trendy and perfect to add to your "mom wardrobe." Is there a better combo? This particular dress is actually under $30! Score! I'm so excited to style this dress differently through every season. I'm sure you'll love something from Lindsay's Secret Closet so I have partnered with her to bring all of my wonderful followers a promo code! What is your current favorite print? And, don't forget to tag your photos with #mymamma style to get featured on my blog!